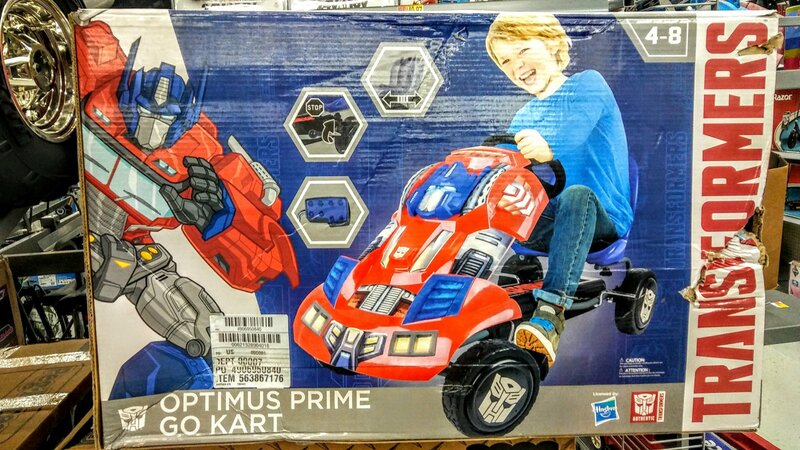 We’ve got word that Wal-Mart is now carrying Transformers themed Go-Karts. 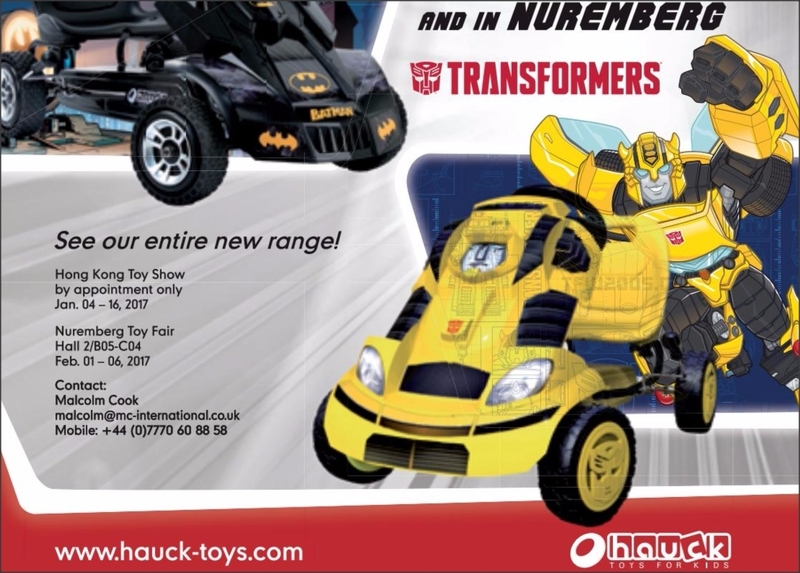 They aren’t a Jazz peddlecar, but they’re still pretty cool with styling based on Optimus Prime and Bumblebee. 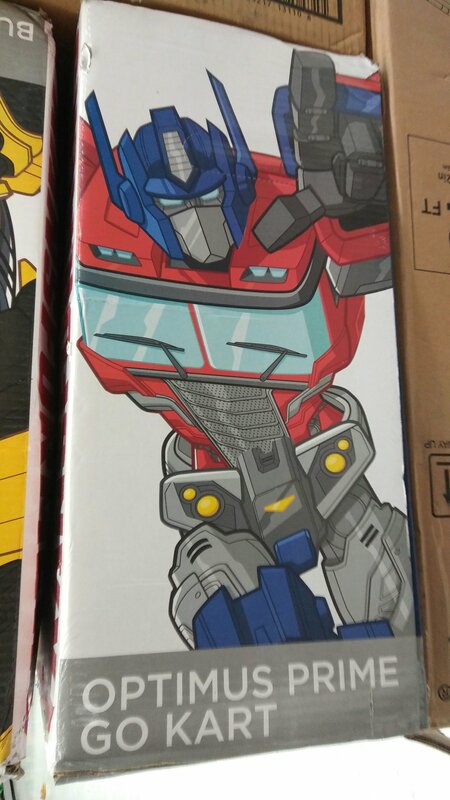 But not just any Optimus Prime or Bumblebee, these are taking inspiration from the original Generation 1 versions, albeit the artwork is a bit more rounded and cartoonish than the original show. They were spotted in Kingstowne, Virginia by TFW member JdotMtron. I think I can fit in one… Or I will try. Who says these aren't for adults? We're already buying children's toys after all. HA! You're right. We need a bigger Transformers Go Kart for adults. They need to make one for adults. I wonder if the guy who won that contest in 1986 and was promised a Hot Rod go-kart is just gonna get one of these out of the blue. 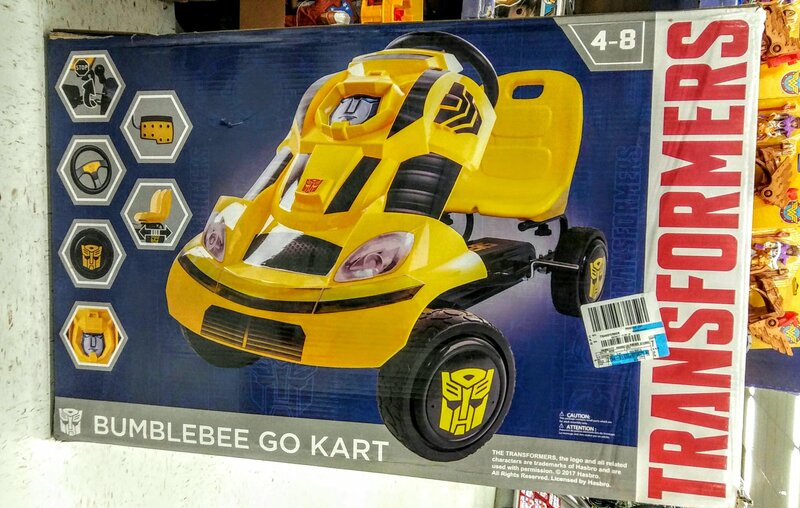 This is the art for the Bumblebee cart. Making a wild guess here: These desgins on the boxes are for the new animated series. No matter how fast you go, you can't get away from the pain. 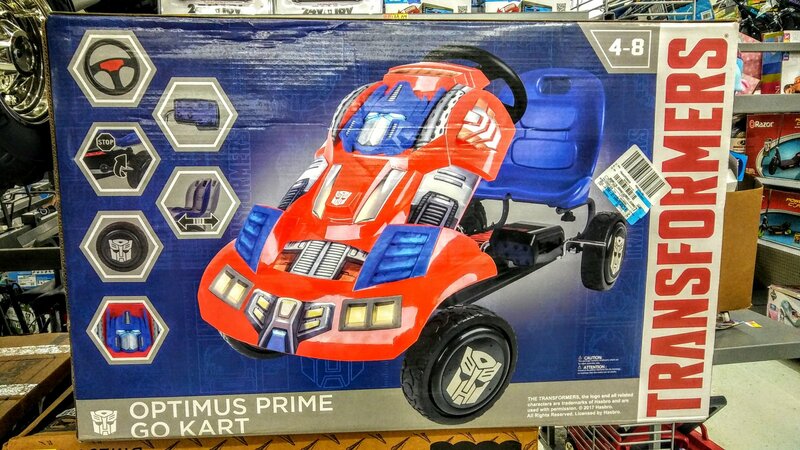 Not sure if this has been posted, but Wal-Mart at Kingstowne, Virginia is now carrying Optimus Prime and Bumblebee Go Karts. I'm not exactly sure of the price bc I was in a rush but I believe it was either $129 or $139. Mods post this up in the news. Time to get your go kart on this summer!